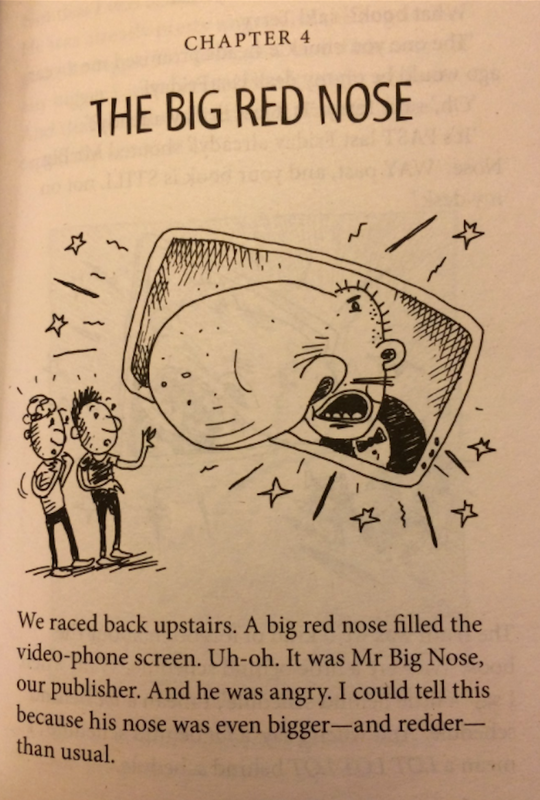 I have been sent a couple of pages of The 13-Storey Treehouse, one of which contains a picture of Mr Big Nose, a publisher who is demanding his book from the hapless authors. They make the following observation. We were a little behind schedule. Well when I say ‘a little behind schedule’, I mean a lot behind schedule. And when I say ‘a lot behind schedule’, I mean a LOT LOT LOT behind schedule. As authors meet their publishers this week at London Book Fair, one can imagine many such encounters. Let’s hope the publishers are more understanding than Mr Big Nose.